This linear motion closed type ball bushing is unsealed and is suitable for use in a mounted slide unit to carry components in precision linear motion applications, such as in printing machines and computer numerical control (CNC) equipment. This ball bushing insert is used where shaft support clearance is not a factor and it compensates for misalignment caused by tolerance defects and mounting errors. The linear motion ball bushing has a high-carbon chromium steel case for strength and rigidity, a plastic retainer plate for accurate ball guidance and low noise, multiple rows of recirculating balls guided by the retainer plate for smooth running, and a maximum operating temperature of 80 degrees Celsius/176 degrees Fahrenheit. As part of a linear motion system, this ball bushing can carry a load accurately along a straight line and is suitable for use in applications, such as measuring systems, printing equipment, and CNC tools. INA manufactures bearings for automotive and industrial applications. The company, founded in 1946 in Germany, meets International Organization for Standardization (ISO) standards 9001:2008 and TS 16949:2009. 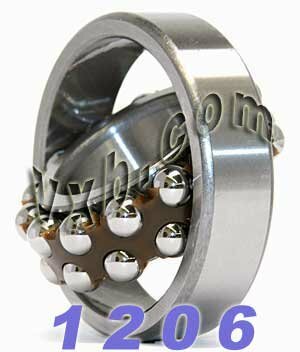 This WJB double-row self-aligning ball bearing is double-sealed, and has a cylindrical bore, steel cage, and normal clearance rating. It is suitable for applications supporting moderate radial loads and moderate to low thrust loads. 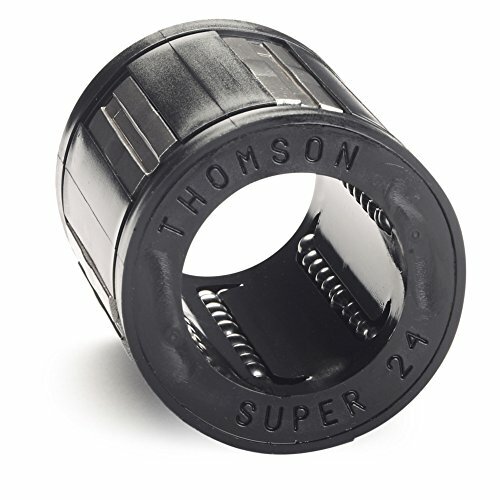 This bearing has concave sphered housing rings to compensate for static angular misalignments between the shaft and housing in applications subject to shaft deflections or mounting errors. Because this bearing type has the lowest operational friction of all rolling bearings, it runs cool at high speeds. This bearing is made of low-alloy, through-hardened chromium steel for durability and resistance to deformity under heavy loads. 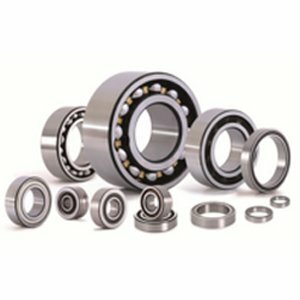 The bearing has a straight bore for fitting on a conventional cylindrical shaft. Rubber seals on both sides of the bearing keep out contaminants such as dirt and grime and hold in lubricant applied at manufacture. 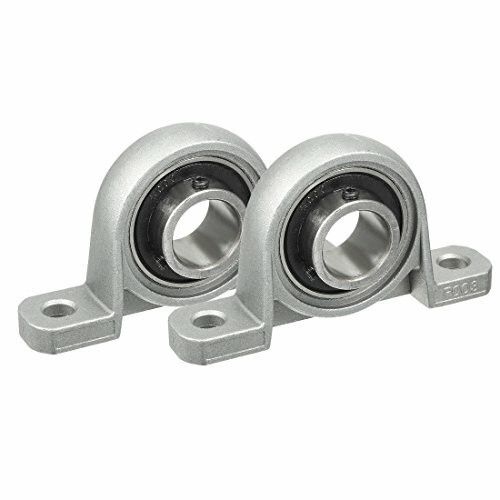 This bearing has a steel cage to prevent the balls from coming into contact with each other during use, reducing friction, vibration, and noise. The ball bearing has a normal radial internal clearance designation, making it suitable for applications where the load and speeds do not result in thermal expansion. This clearance provides latitude for self-realignment and compensates for static and dynamic alignment errors. 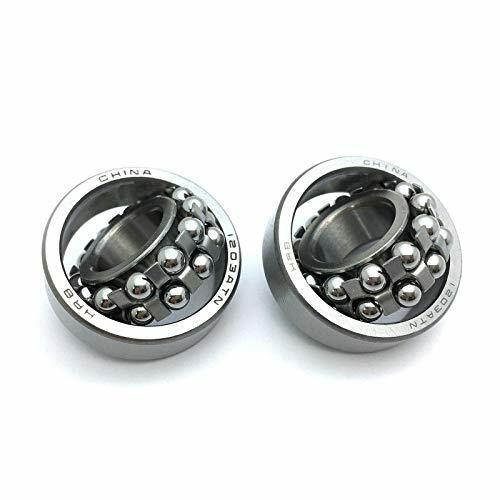 This self-aligning ball bearing is for use in commercial and industrial applications including film processing equipment, office automation, vertical spinning equipment, and industrial countershafts, among others. WJB Bearings, Inc. manufactures various types of bearings and components including ball and roller bearings, bronze bushings, and sprockets and chains. The company, founded in 1992, is based in City of Industry, CA. Double row self-aligning bearings utilize an inner ring with two rows of balls in two deep raceways, and an outer ring with a single spherical raceway. In this way, the inner and outer rings can be misaligned relative to each other. The resulting effect is a comparatively large angle imposing moment loads upon the balls. The boundary dimensions of the 1200 and 1300 series are the same as the 6200 and 6300 single row deep groove bearings. 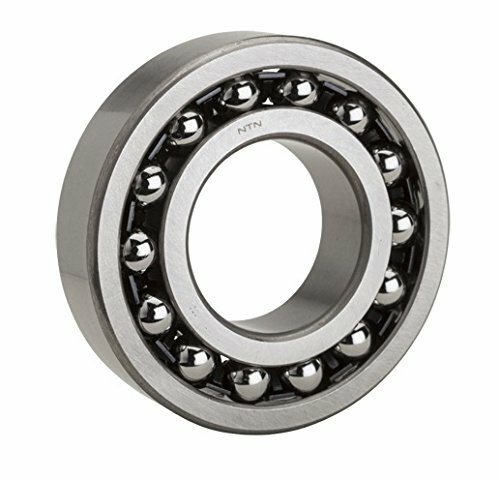 NTN is one of the three largest bearing companies in the world with more than ninety years of manufacturing expertise in ball bearings. This SKF double-row self-aligning ball bearing is an open bearing, and has an optimized internal design, cylindrical bore, reinforced polyamide cage, and C3 clearance rating. It is suitable for applications supporting moderate radial loads and moderate to low thrust loads. This bearing has concave sphered housing rings to compensate for static angular misalignments between the shaft and housing in applications subject to shaft deflections or mounting errors. Because this bearing type has the lowest operational friction of all rolling bearings, it runs cool at high speeds. The bearing is made of low-alloy, through-hardened chromium steel for durability and resistance to deformity under heavy loads. Due to its optimized internal design, an SKF bearing with an E suffix has a higher load rating than a standard SKF bearing of comparable size. This bearing has a straight bore for fitting on a conventional cylindrical shaft. Its open design facilitates lubricating the bearing in place and dissipating heat. 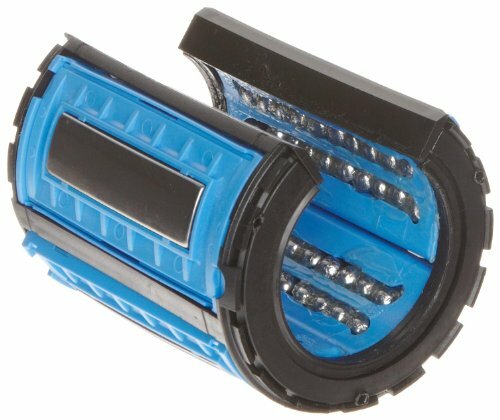 This bearing has an injection molded snap-type cage made of polyamide 66 to prevent the balls from coming into contact with each other during use, reducing friction, vibration, and noise. This cage type can be used at operating temperatures up to 120 degrees C (250 degrees F). 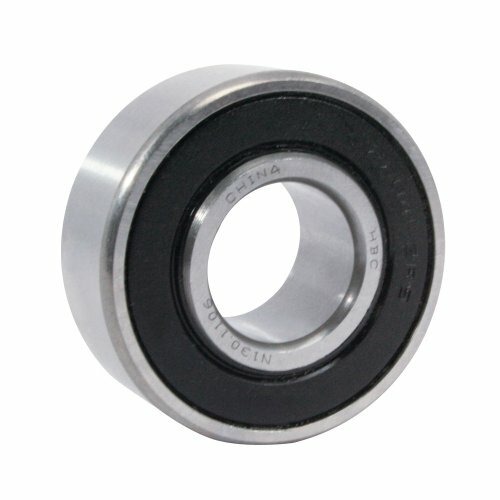 The bearing has a C3 radial internal clearance designation to indicate that the radial slack between the inner and outer rings is greater than the standard CN (normal) clearance. It allows for thermal expansion as the bearing supports radial loads and its balls, operating in the deep raceway geometry, reduce rotational friction. 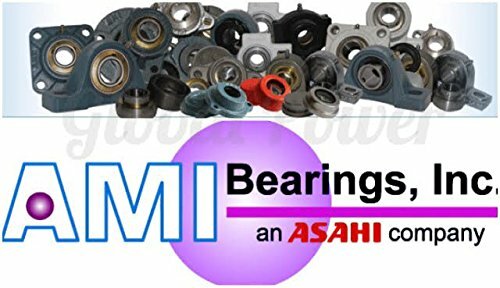 Additionally, this bearing is produced to normal tolerances in accordance with International Organization for Standardization (ISO) 492:2002 standards for quality assurance. This self-aligning ball bearing is for use in commercial and industrial applications including film processing equipment, office automation, vertical spinning equipment, and industrial countershafts, among others. Super Ball Bushing Bearings offer three times the load capacity or twenty seven times the life of conventional linear Bearings. 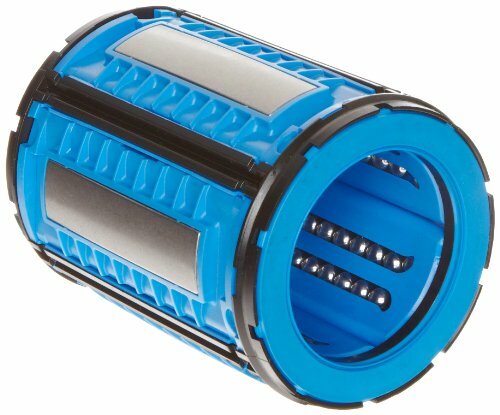 Industry standard self-aligning Super Ball Bushing Bearings ease installation and minimize wear from minor bore misalignment. Super Ball Bushing Bearings can achieve speeds up to 10 ft/s and accelerations up to 450 ft/s2 without the derating factors commonly found in linear guide products. With a coefficient of friction as low as .001, Super Ball Bushing Bearings provide a quick easy replacement for high friction plain Bearings. The wear resistant, engineered-polymer retainers and outer sleeves reduce inertia and noise in critical, high speed applications. 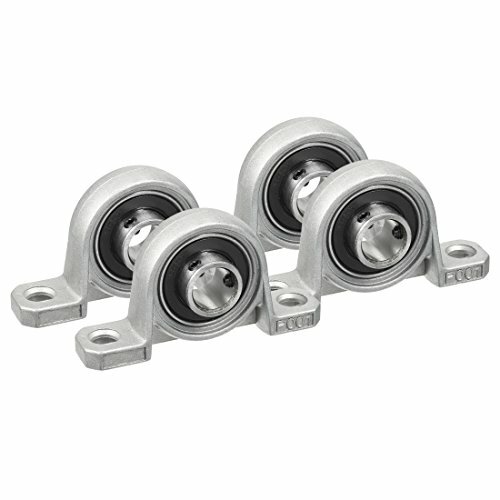 This SKF double-row self-aligning ball bearing is an open bearing, and has an optimized internal design, cylindrical bore, reinforced polyamide cage, and normal clearance rating. It is suitable for applications supporting moderate radial loads and moderate to low thrust loads. This bearing has concave sphered housing rings to compensate for static angular misalignments between the shaft and housing in applications subject to shaft deflections or mounting errors. Because this bearing type has the lowest operational friction of all rolling bearings, it runs cool at high speeds. The bearing is made of low-alloy, through-hardened chromium steel for durability and resistance to deformity under heavy loads. Due to its optimized internal design, an SKF bearing with an E suffix has a higher load rating than a standard SKF bearing of comparable size. This bearing has a straight bore for fitting on a conventional cylindrical shaft. Its open design facilitates lubricating the bearing in place and dissipating heat. This bearing has an injection molded snap-type cage made of polyamide 66 to prevent the balls from coming into contact with each other during use, reducing friction, vibration, and noise. This cage type can be used at operating temperatures up to 120 degrees C (250 degrees F). 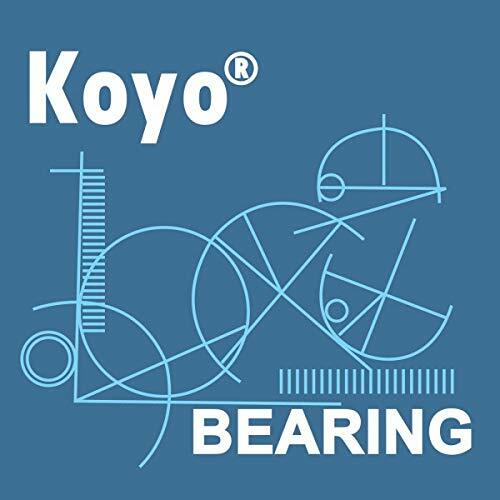 The bearing has a normal radial internal clearance designation, making it suitable for applications where the load and speeds do not result in thermal expansion. This clearance provides latitude for self-realignment and compensates for static and dynamic alignment errors. Additionally, the bearing is manufactured to normal tolerances in accordance with International Organization for Standardization (ISO) 492:2002 specifications. This self-aligning ball bearing is for use in commercial and industrial applications including film processing equipment, office automation, vertical spinning equipment, and industrial countershafts, among others. AMI: BLCTE207, 35MM NARROW SET SCREW MALLEABLE 2-BOLT FLANGE, FACTORY NEW! THIS LISTTING IS FOR ( 1 ) - AMI: BLCTE207, 35MM NARROW SET SCREW MALLEABLE 2-BOLT FLANGE, UPC: 808250118083, FACTORY NEW!